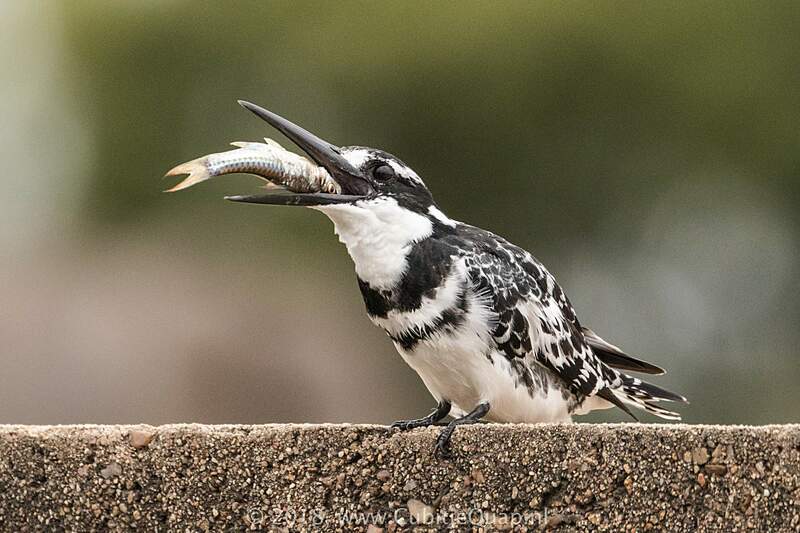 The pied kingfisher feeds mainly on fish, although it will take crustaceans and large aquatic insects such as dragonfly larvae. The breeding season is February to April. 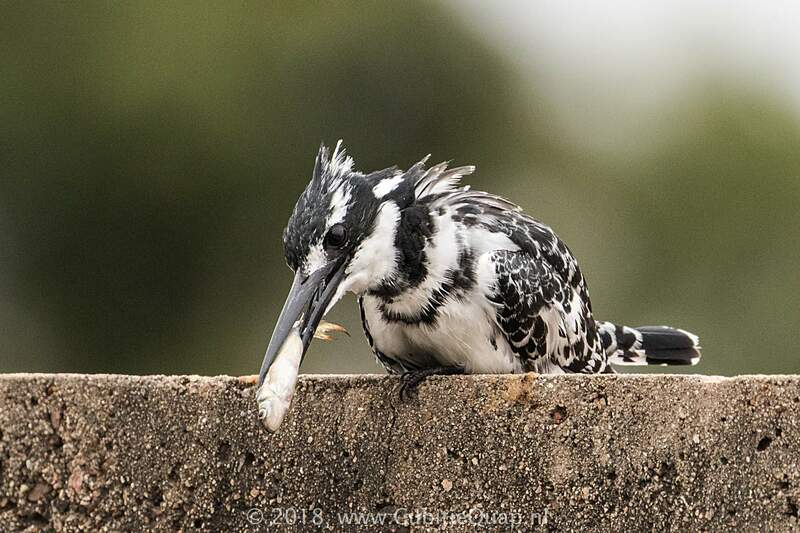 Its nest is a hole excavated in a vertical mud bank about five feet above water. 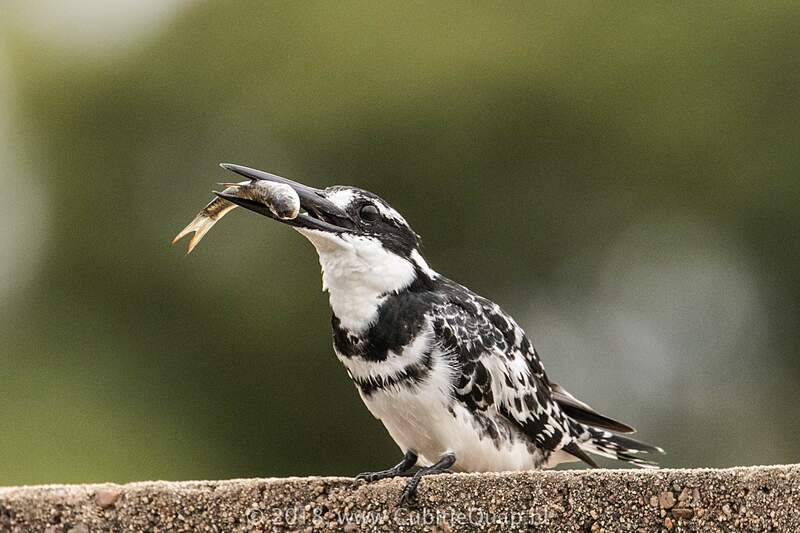 The nest tunnel is 4 to 5 feet deep and ends in a chamber. 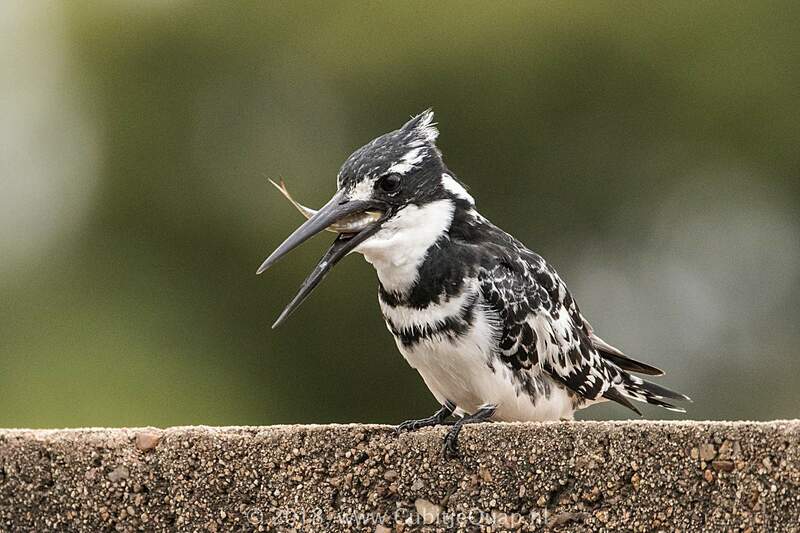 Several birds may nest in the same vicinity. 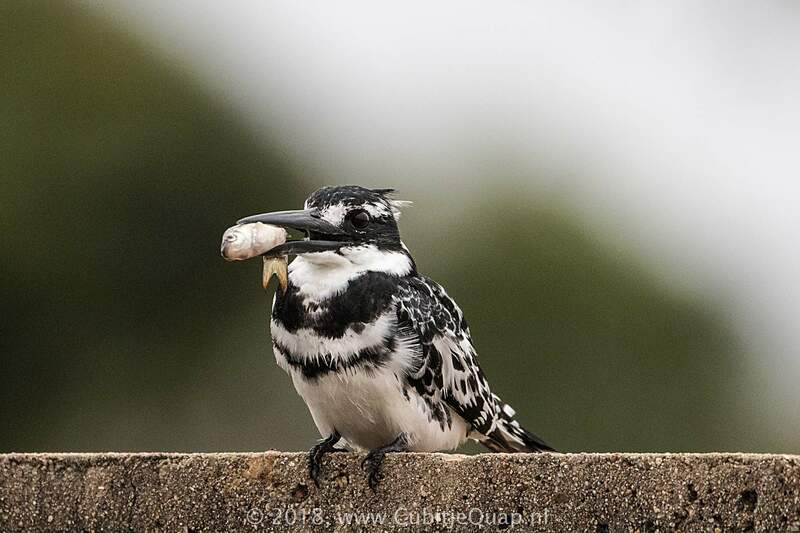 The usual clutch is 3 to 6 white eggs. 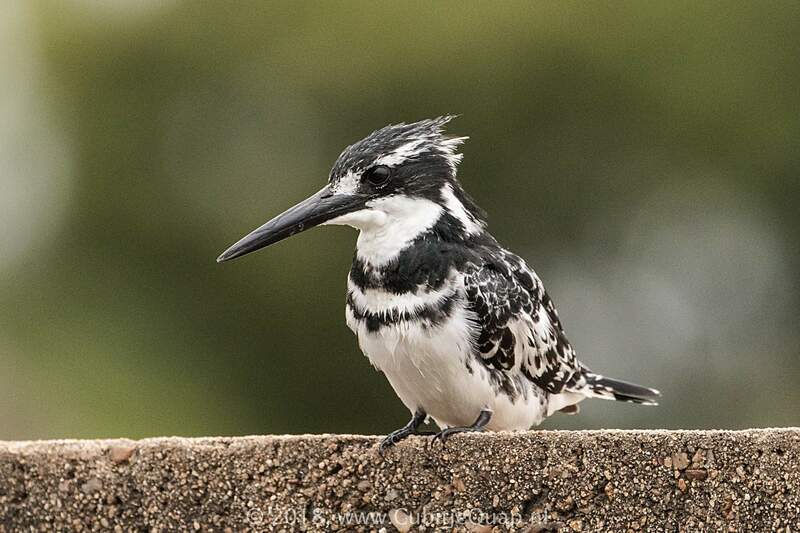 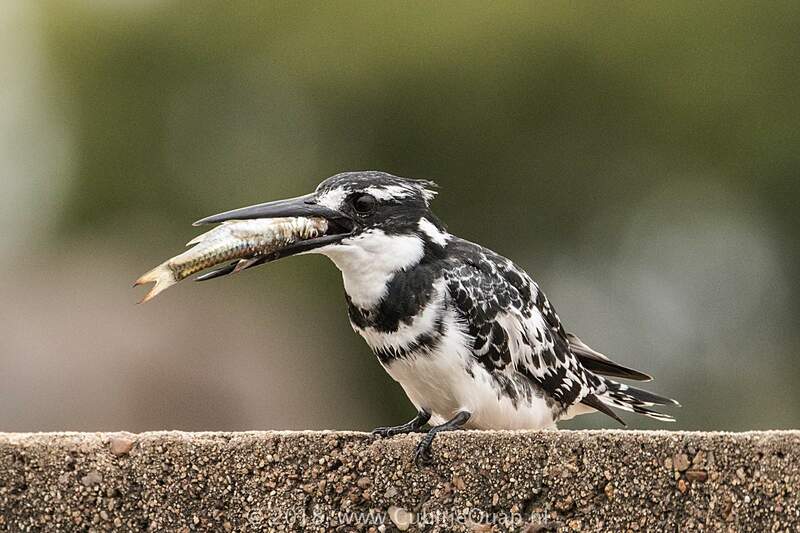 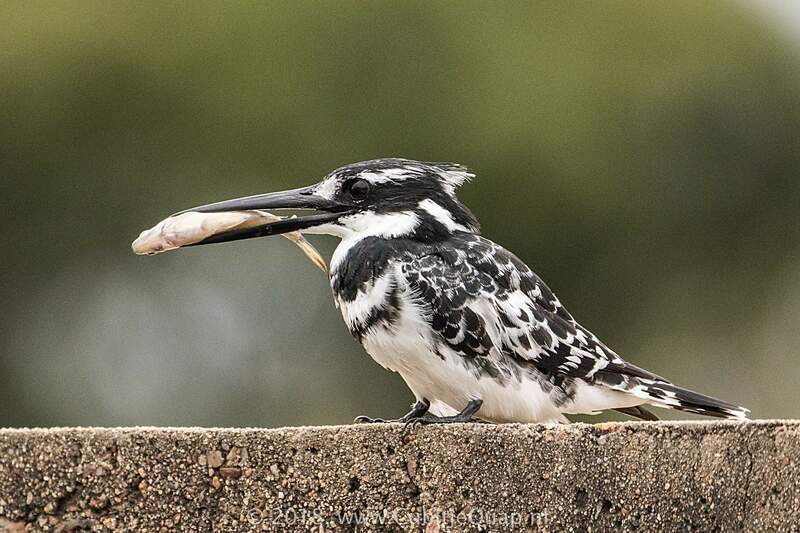 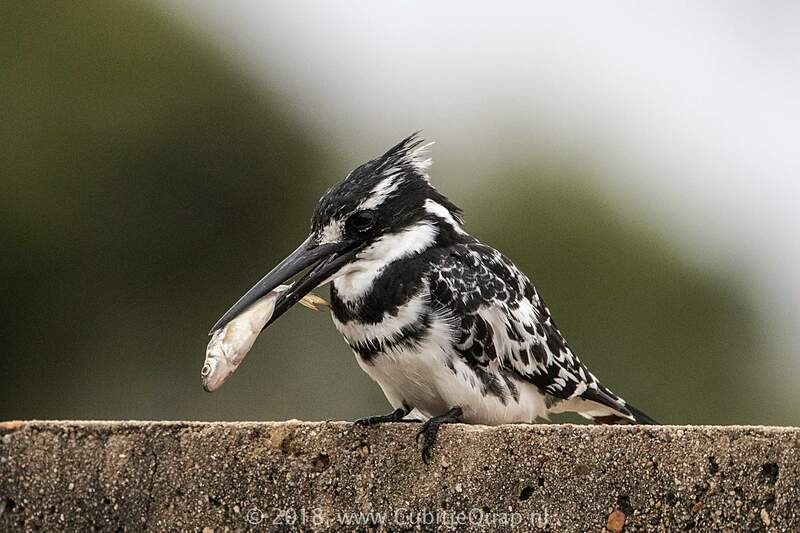 Adult kingfishers will regurgitate three to four pellets of undigested bones per day, but hatchlings will digest most of the bones and regurgitate only one pellet per day, absorbing more calcium to support their own bone growth. 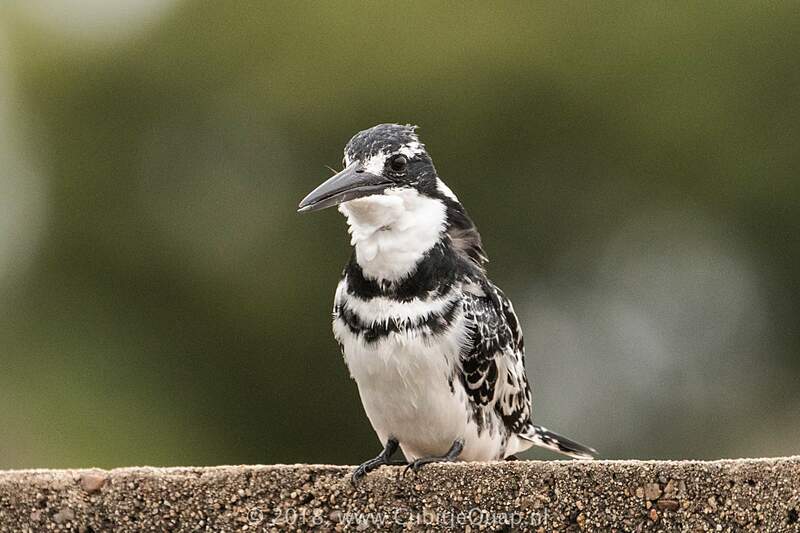 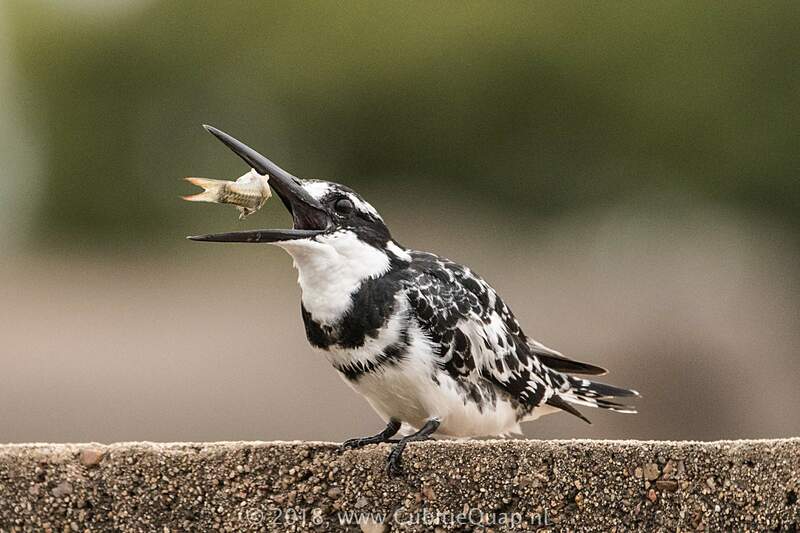 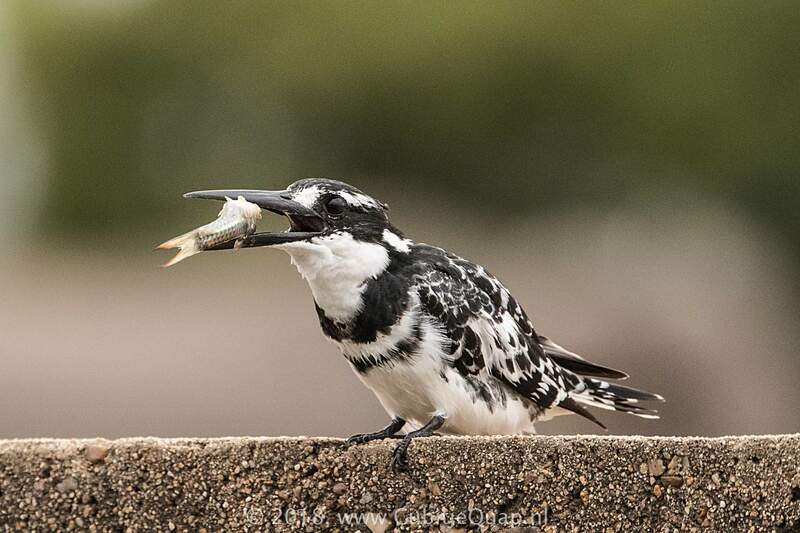 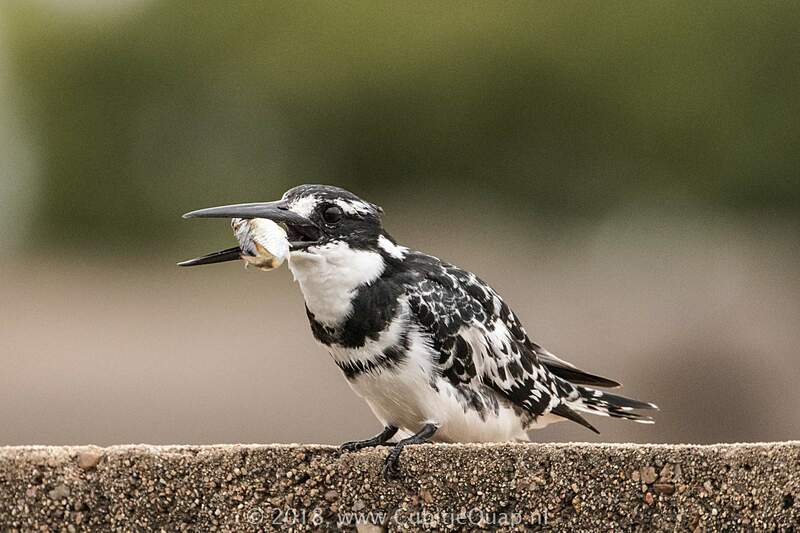 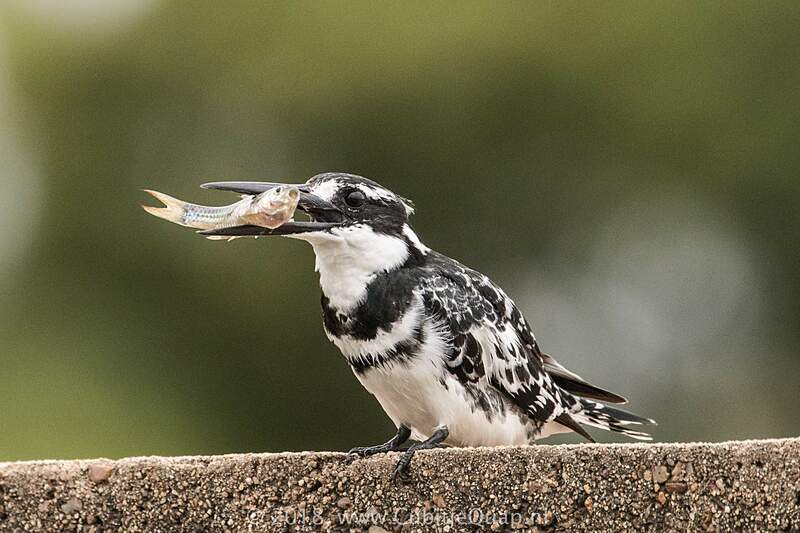 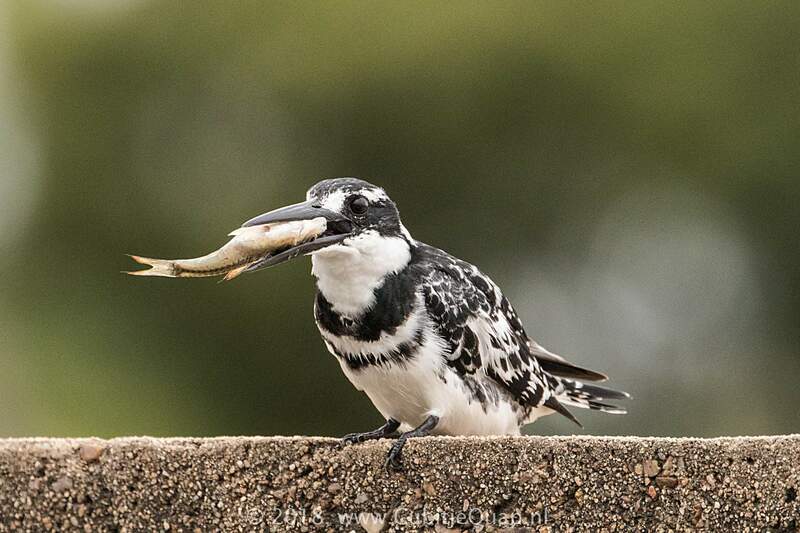 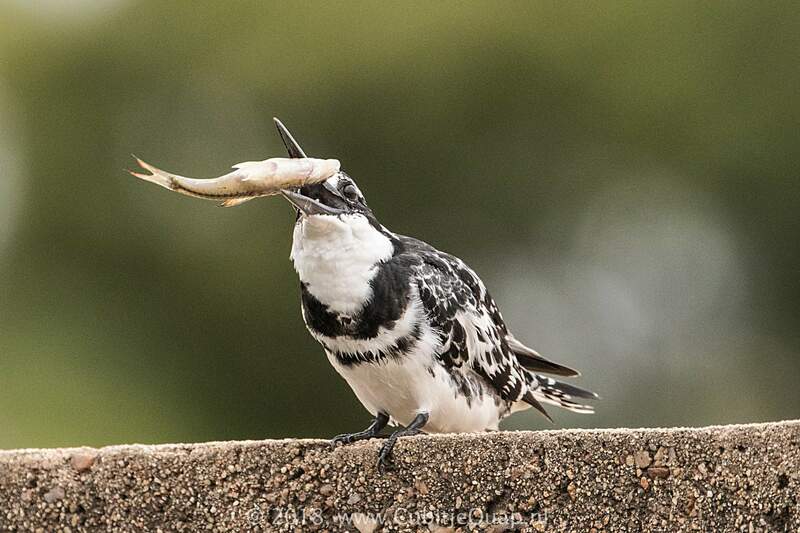 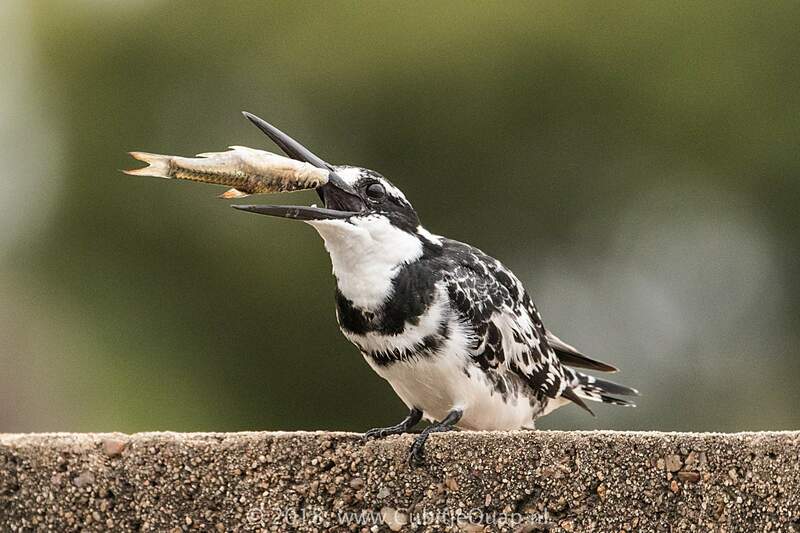 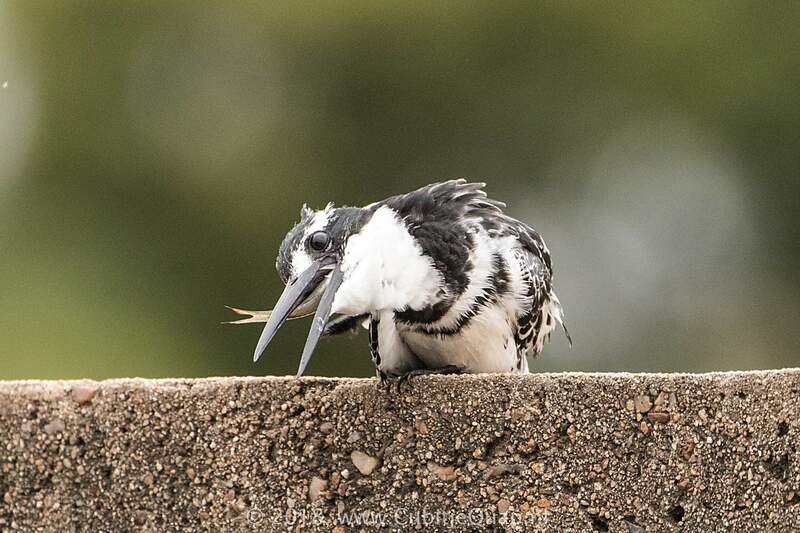 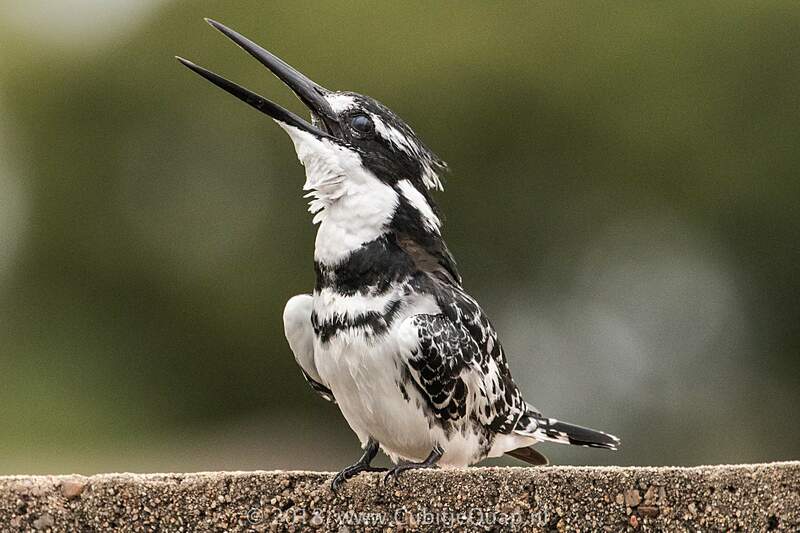 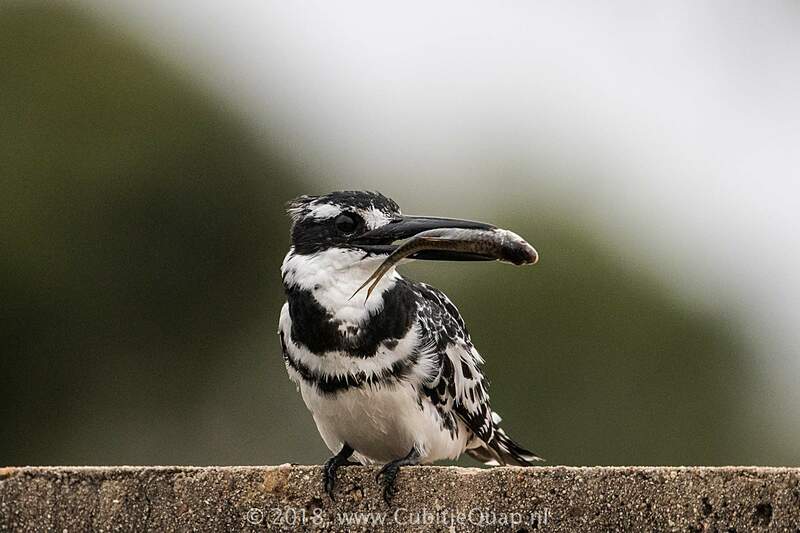 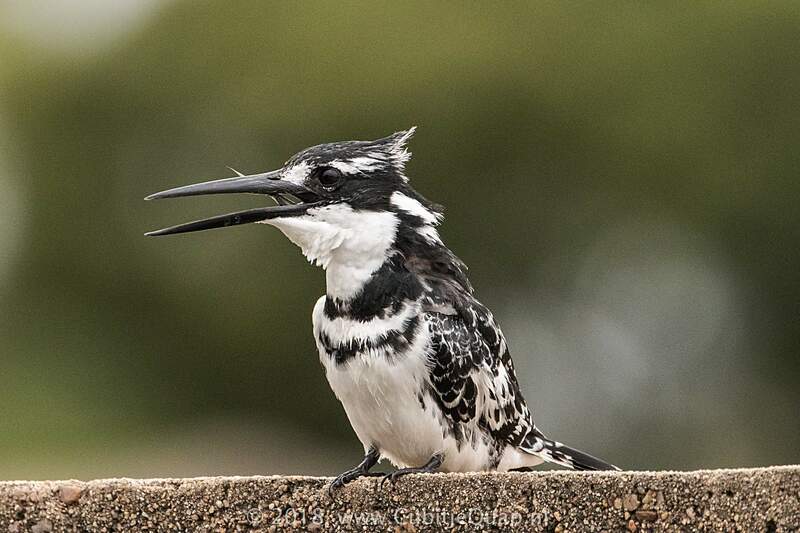 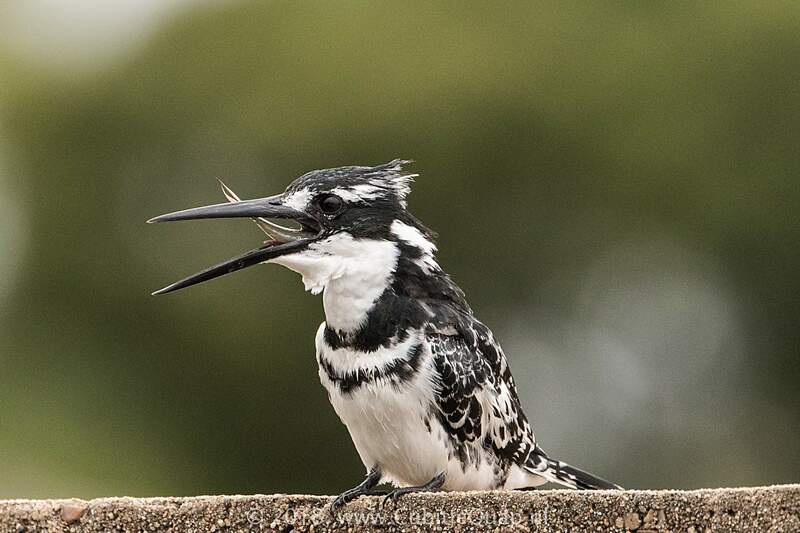 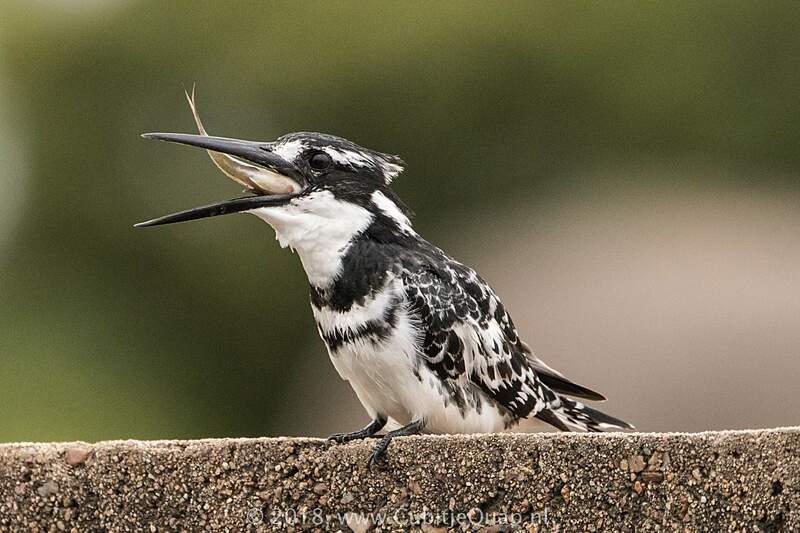 The pied kingfisher swallows its prey whole.